BOSTON (WTIC) -– As sure a sign of the season as Black Friday ads being leaked is the annual list of toys NOT to buy your kids this Christmas. World Against Toys Causing Harm, Inc.on Tuesday revealed their nominees for the "10 Worst Toys of 2016." Baby Magic Feed and Play Baby: With an a 2+ age recommendation, the included spoon is small enough that it could block a child's airway. Slimeball Slinger: Slimeball projectiles that can be fired over 30 feet can cause eye injuries. Flying Heroes Superman Launcher: Spinning flying superman may fly into child's eye or face. Kids Time Baby Children's Elephant Pillow: Advertising image shows infant snuggling with pillow, despite pillows for children under one being banned by a federal safety act. Package has no age warnings. 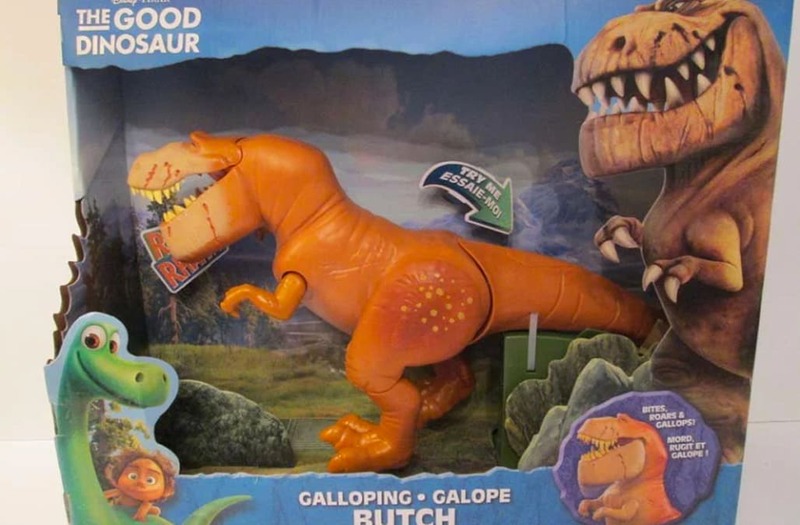 The Good Dinosaur Galloping Butch: Rigid tail may puncture children's faces. Nerf Rival Apollo Xv-700 Blaster: Potential for eye injuries. Kids shown children wearing masks covering face and eyes, but are sold separately. Peppa Pig's Muddy Puddles Family: Some packages say 3+ and others say 2+ for the same toy, without warning about choking hazards for two-year-olds. Peppy Pups: Strangulation. Despite the industry's standard requiring strings on playpen and crib toys to be less than 12 inches in length, manufacturers are permitted to market pull toys like the "Peppy Pup," with a cord measuring approximately 31 inches. The group said due to poor design, manufacturing and marketing practices, there are toys available for purchase today with the potential to lead to serious injury and even death. W.A.T.C.H. urges parents and caregivers to take precautions when buying toys, especially during the upcoming 2016 holidayshopping season, which accounts for more than 65 percent of all toy sales.